Proof 3 cent nickels were struck during the entire course of production of the 3 cent nickel, which was made from 1865 through 1889. 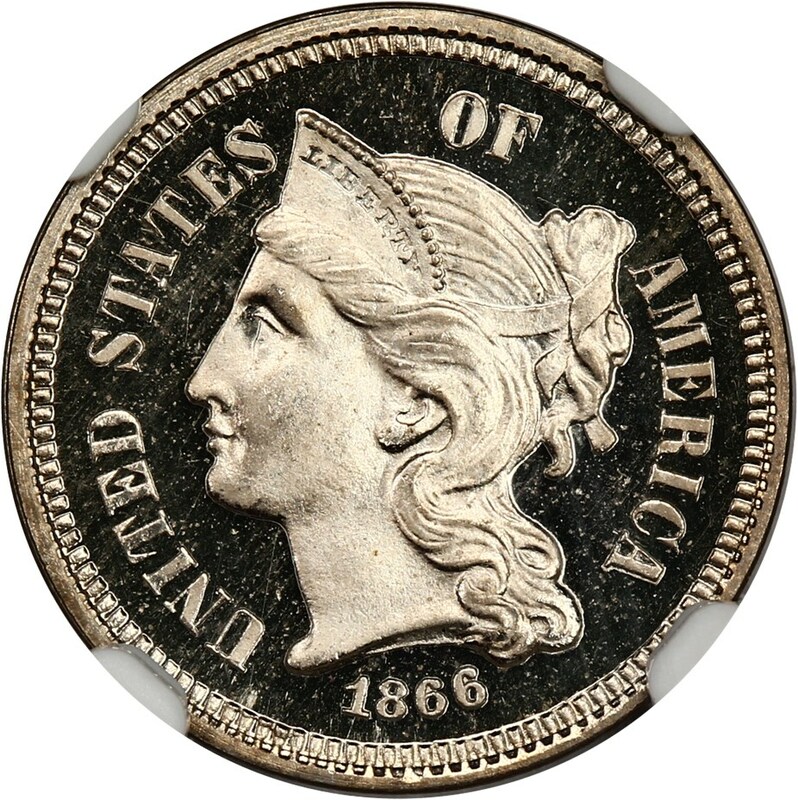 The series, designed by United States Mint Chief Engraver James B. Longacre, is popular with type collectors and those who focus on minor-denomination coins, and thus the proofs enjoy some market activity from that standpoint. While most of the proof issues begin at relatively affordable prices, certain dates were proof-only years. Thus, prices for those individual proof issues are significantly higher not because these proofs are any scarcer in the absolute sense but rather due to the strong demand placed on these coins from date set collectors who have only the proof specimen as an option to obtain an example of a 3 cent nickel from that year. The proof-only years are 1877, 1878, and 1886, and prices for these issues vary from a few hundred to a few thousand dollars, based on the date and grade. There are a few significant design varieties for the proofs, including the 1873 Close 3, 1873 Open 3, and 1887 7/6 overdate.